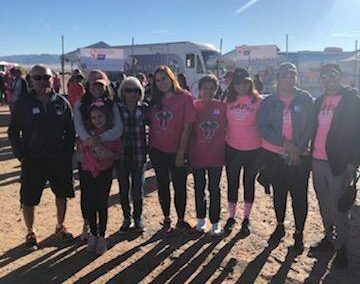 Our Albuquerque team participated in the Making Strides Against Breast Cancer walk in Albuquerque. Through efforts from associates and clients our team raised over $1,500 for breast cancer research. At Hillcrest Bank, we support many organizations in the Austin and Dallas areas. It is important to us to enrich the lives of the people where we live and work through support of the arts, education and civic involvement that supports education, quality housing and workforce development. This is more than just our Corporate Social Responsibility, it’s our way of life. It’s common sense, the way banking was intended to be.